I recently created the make-up look for a shoot for The Yorkshire Post with the students from the Northern Ballet Academy, to mark their graduation as they leave Leeds to continue their dance studies across the country. Our theme was the fresh, LA-preppy and co-ordinating styles of the ’90s, as epitomised by the film Clueless, with hair sleek and polished, and make-up for the girls defined and glamorous, with pretty in pink tones. 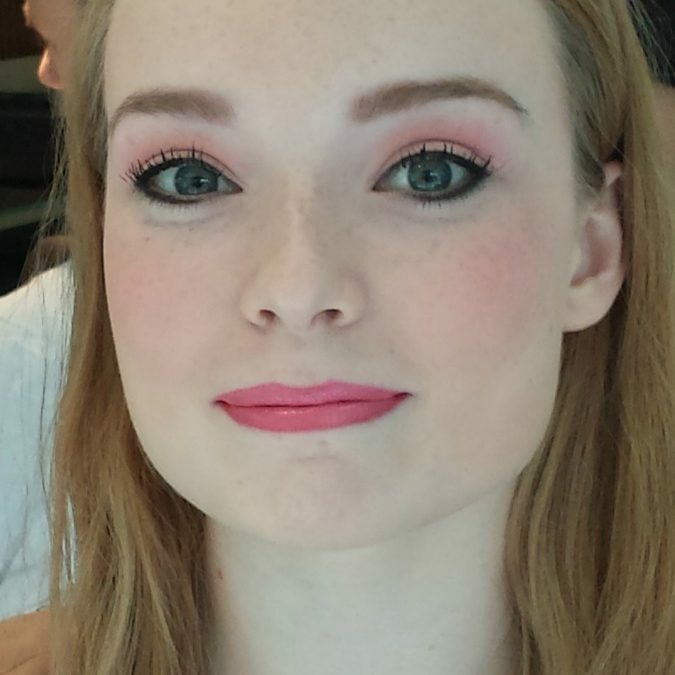 The pretty pink make-up looked so beautiful on the teenage ballet students I thought I’d give a quick low-down on how I achieved this look – give it a go – it’s great makeup for teenager girls and is really easy and flattering. Apply a tinted moisturiser, steer clear of heavy foundations as this look is about being fresh faced, natural and pretty. A great option would be Ariane Poole’s Ultimate Face Tint. Cover any blemishes with a light reflective concealer to ensure an even skin tone. Apply a flesh toned eye base such as Mac’s Paint Pot in ‘Painterly’. Sweep a pink eye shadow or even a blusher (as I did for the shoot) across the eye lids and then a slightly different pink shade into the sockets and blend well. Apply a chocolate brown or black eye liner above and below the lash line. Keep the line crisp (no blending or smudging) then curl the lashes and apply lots of mascara. Take the same pink blusher and sweep across the cheeks. To finish off apply a pop of pink lip gloss to the lips – the pinker the better! My choice was Ariane Poole’s Vivid Lip Gloss in ‘Vivid Dream‘. Mel offers makeup lessons for all ages including makeup for teenager girls. For more information, contact her at www.melenglandmakeup.com.